Air Purifiers are also known as Air Cleaners or Air Cleaning Systems, and as the name suggests these units help to clean the air indoors by capturing airborne bacteria, allergens, dust mites, pet dander, plant pollens, mold spores and more. Air Purifiers are ideal for allergy sufferers, with a True HEPA filtration system removing around 99.97% of airborne allergens. Besides the obvious health benefits to allergy sufferers, HEPA Air Purifiers could also help people prone to indoor asthma attacks as HEPA filtration can help to reduce indoor asthma triggers. There are different types of Air Purifiers you can get for home use, depending on your needs. Air Purifiers can come in various shapes, designs and sizes to work effectively in different sized rooms, and can be either battery or electrically operated. 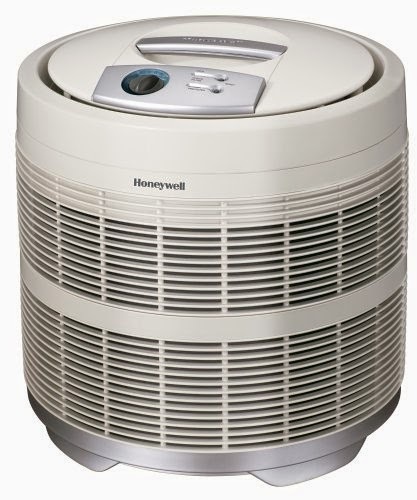 Air Purifiers can come with different types of filters, including permanent, long-life or changeable filters. Permanent filters means that you don’t have to replace the filter to save on continuous costs, but you do usually have to clean the filter either by vacuuming or washing it regularly. All Air Purifiers are attempting to do the same thing, i.e. remove contaminants from the air, but work differently in the way that they do it. Some Air Purifiers utilize multiple technologies to maximize their purification abilities. Air Purifiers like charcoal and HEPA work by trapping the particles as they pass through the filter, whereas Ionizers work by using a corona discharge to turn molecules in the air into ions, i.e. charged particles which attract or stick to each other and then, depending on the size of the particles, will be either attracted to the Air Ionizer or will settle out of the air. Be aware that Ionizers produce ozone which can be an irritant to the respiratory system and can therefore have an adverse effect on asthma sufferers or people with respiratory problems. True HEPA filters are considered to be the best as they are said to be highly efficient, removing at least 99.97% of common airborne pollutants as small as 0.3 microns, and are recommended by doctors particularly for allergy or asthma sufferers. *Prices/discounts/shipping indicated are correct at time of writing/publishing and may be subject to change anytime. E&OE.